What would cause a cheese-loving, meat-eating lawyer to become a vegan? Her dog. Teresa Rhyme and Seamus the beagle both survived cancer once, so when Seamus develops yet another cancer, Teresa vows to fight again. Unsure of the best way to battle the unseen enemy, she embarks on some experiments to create a healthier life for her family. She finds better food for Seamus, and a plant-based diet becomes her own guide, but she realizes that's not enough for her-and it's not enough for the animals. As she searches for a more compassionate lifestyle, she struggles to find her place somewhere between a hypocrite in leather high heels and a hippie in a hemp skirt, all while coping with the threat of Seamus slipping away. When she encounters two other dogs who need help, including one rescued from animal testing, turning away seems impossible after everything she's discovered. 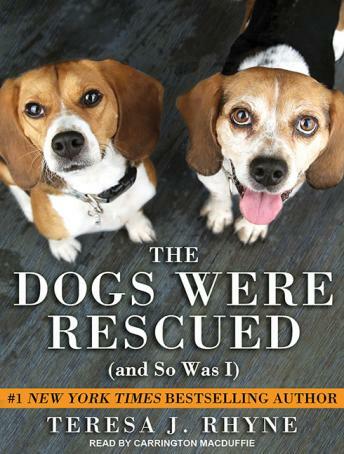 Will turning her life upside-down to rescue two more beagles be the best medicine for everyone?